Instagram today said it is expanding the availability of its shopping service to stories. Instagram already allows brands to include shopping links in their new feed posts. Moving forward, brands and retailers can add buying experiences to their ephemeral stories, signified by a shopping bag sticker that appears on images and videos. Shopping will be available from a select number of brands in stories to start, including Adidas, Aritzia, and Louis Vuitton, with more to follow over time. Delta today launched a new version of its mobile app. The headline feature is an industry-first map view for tracking checked bagged. Instagram today announced several new ways people can interact with one another via the social network. First, it has added the ability to ask friends for music recommendations, or to make your own recommendations, using the questions sticker. 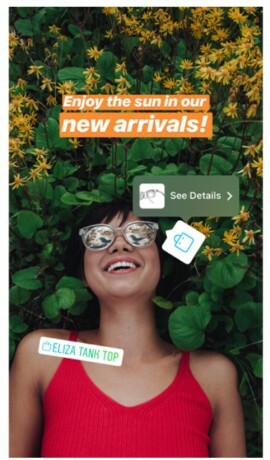 Instagram is prepared to turn its photo-sharing social network into a link-filled shopping destination. The service is going to let brands put clickable links in their imagery.